Petclub.com | Is a Dachshund Puppy Right For You? Is a Dachshund Puppy Right For You? Meet Lincoln. Lincoln is a 12 week old smooth hair dachshund and has been part of the family for just over a month now. He has settled in very well to everyone’s delight, however our cat Moozy isn’t overly impressed with his new little brother. Saying that he has been very patient with Lincoln – even when he chases him, bites his tail and eats his food! Dachshunds can be one of the most demanding puppies and even adult dogs to own. They have proved very difficult to train due to their stubborn nature, and also love to cause mischief whenever they can! If you are considering taking a dachshund into your family, here are a few hints and tips to make life with your sausage dog a pleasure from start to finish! Start training early – as these pups have proven tough to train, it is important to start training your dachshund within a few days of them settling in. It is also important not to be too forceful or rough with your pup at a very young age, as this contact may be seen as playing and taken into adult life. Be firm and use a cage or enclosure to put your puppy in if he’s naughty. He will soon learn any unacceptable behaviour will lead to confinement and we all know puppies are not a fan of that! Get advice from a trainer or others who have dachshunds and see what has worked for them. If you love a challenge – a dachshund will be perfect for you. 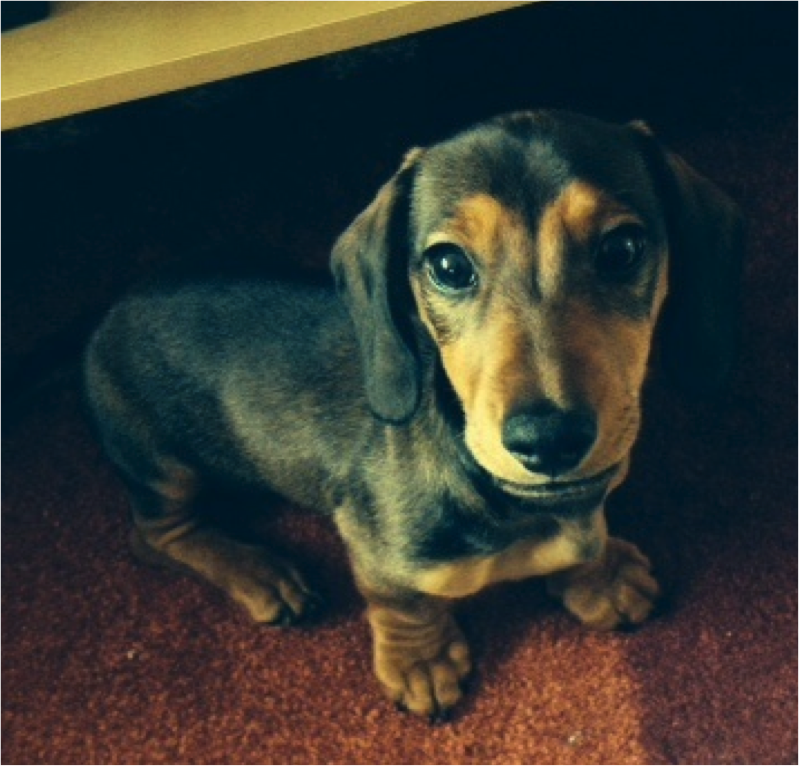 Dachshunds can grow up to be very loving, friendly and well behaved dogs if they get the right training early on. Sausage safety – Being the shape they are, dachshunds are prone to spinal injuries and slipped discs as their long body and short legs don’t allow them as much support on their backs as most breeds of canines do. They will walk and run around just fine, however always ensure they are not left on a high surface such as a chair or sofa alone as jumping down will cause considerable pressure on their body and could easily cause injury. Making the downstairs their living quarters is a a good idea. Give them an area they can go to when they want to relax or want some peace and quiet, and always make sure you have regular check-ups at the vets to ensure their delicate frames are in good condition. Sufficient exercise – Exercise is very important in dachshunds as they are prone to being overweight. A 20 minute walk or play in the garden twice a day is recommended for this breed. Be strict with your diet plan and if you notice signs of your dachshund getting overweight, get advice from your veterinary nurse on how to lose the pounds. This is especially important for this breed as being overweight also puts pressure on their fragile backs and legs. Did you know that a different coat equals a different character? 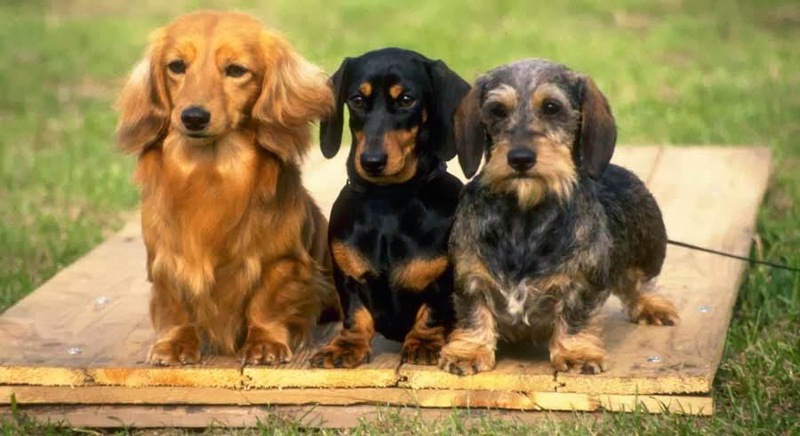 There are 3 types of dachshunds; the smooth haired, the long haired and the wire-haired who each have different personality traits. If you’re looking for more relaxed and laid back company, the long haired dachshund will suit you. They are still just as fun loving and playful but also have a very quiet nature and love nothing more than to relax with you! The wirehaired has proven to be a bit more mischievous and active, they love running around and playing and always seem to have a trick up their sleeves! The smooth coat dachshund can be in-between these two characters. They are very mischievous and love to play but are not quite as active as the wirehaired. They love to socialise and play in the great outdoors. Always read up and get advice from your vets or other dachshund’s owners if you are unsure if a sausage dog will be right for you! They require a lot of care and love, but in return will be your friend for life.